Post-apocalyptic anime gives us a glimpse into ruined worlds which reverberate with the human psyche. Some of these worlds can be terrifying, because they present us with possible scenarios of what might occur if our obsession with technological advancement, proclivity for war, or advancement of industry goes too far. 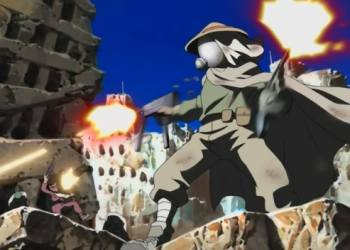 Here are 15 post-apocalyptic anime that all anime fans need to experience. 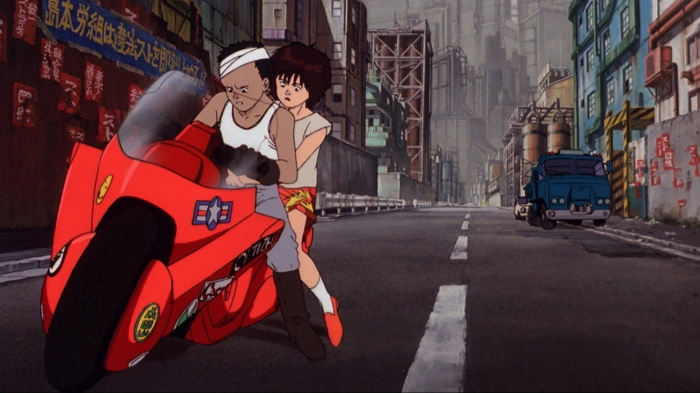 One of the most important post-apocalyptic anime of all time is, unquestionably, Akira. This was the theatrical film which set both the anime and science fiction worlds on fire back in the late 80's. Without a shadow of a doubt, this is a milestone title which still reverberates and influences modern pop culture. Akira doesn't mess around, as it unsettles the viewer with a horrific nuclear explosion on Tokyo during the opening scene. The city is rebuilt and it seems to be thriving, but anarchic biker gangs, seedy politicians, and a secretive government project are about to turn things on their head. A Wind Named Amnesia is a sci-fi post-apocalyptic anime with a road movie feel. It’s also one of those long lost gems which more anime fans need to discover. This theatrical feature is rather existentialist as it explores the state of humanity. A wind blows across the world, which wipes out everyone’s memory. What transpires makes for one of the most original, and cerebral adventures ever committed to celluloid. 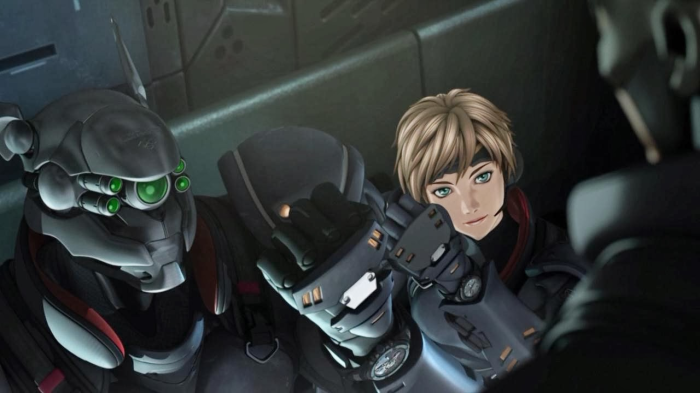 Deunan Knute and Briareos Hecatonchires are highly trained operatives of the E-SWAT counter-terrorism unit. This puts these two long-time lovers in constant danger as they face off against deadly terrorist cyborgs. But on their latest mission, Briareos is hospitalized and Duenan finds herself with a new partner, who looks just like Briareos when he was still human. All this creates conflicting feelings within Duenan, while having to deal with further terrorist attacks. Will all these pressures take their toll on her relationship with Briareos? The main draw of Silent Mobius are the heroines of the Attacked Mystification Police, who all happen to be total babes! Thank you Asamiya-san, you sure know how to design them. Furthermore, this is also a series which borrows much from Blade Runner, especially in how the cityscape is depicted and the prevalence of floating blimps. At first glance, Silent Mobius seems to have a similar post-apocalyptic anime vibe to other OVA such as A.D. Police and Bubblegum Crisis. However, Silent Mobius manages to set itself apart due to the villains and occult elements introduced here, which are uncommon in other cyberpunk series. The Lucifer Hawks are a demonic species from another dimension, and they make the lives of the inhabitants of Tokyo, a living hell! If you're a 90's kid, then there's a good chance that Neon Genesis Evangelion was one of the anime shows that defined the decade for you. 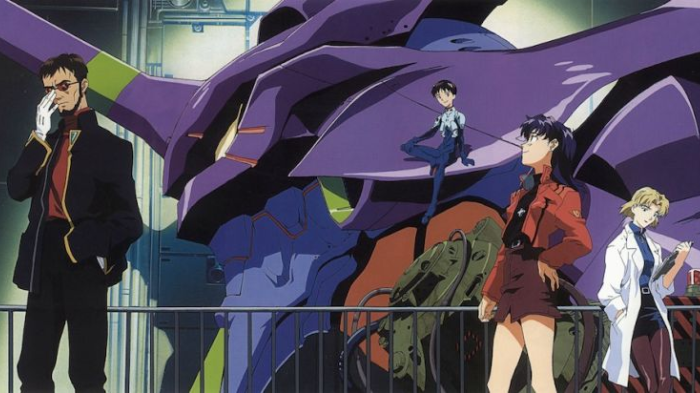 While many mecha anime up to that point either had military or space themes, Evangelion ups the ante with a mind-bending end-times scenario of biblical proportions. 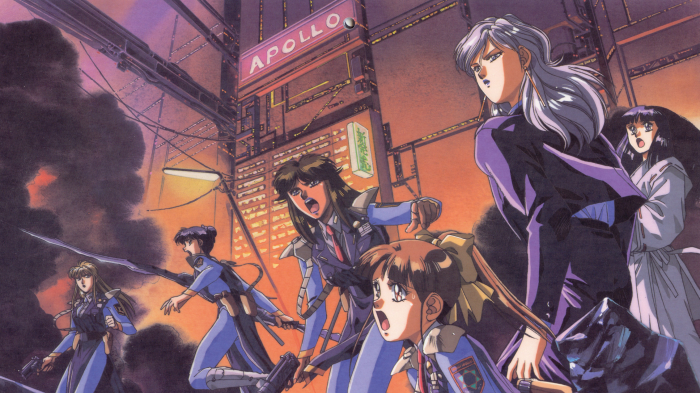 3 of the most emotionally damaged kids in all of anime are meant to be the saviors of Tokyo-3, as they pilot their EVA units against the mysterious beings known as Angels. To complicate things further, the shadowy SEELE organization is moving ahead with plans which will change the very course of humanity. A dark conspiracy combined with religious imagery and philosophical musings make for one of the most interesting post-apocalyptic anime out there! 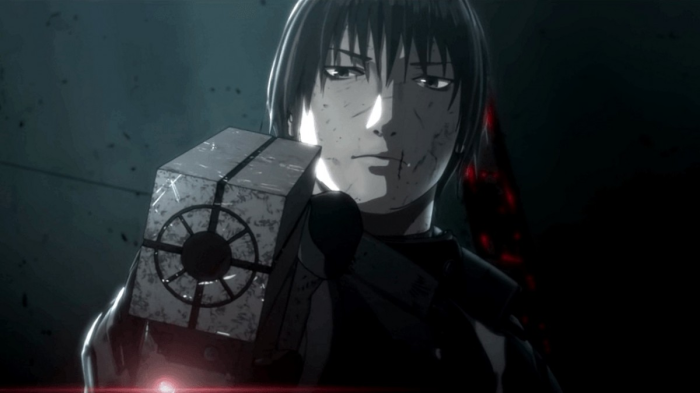 Blame! has a dark and foreboding atmosphere, and is spiced up with a liberal dose of experimental visual techniques. The original manga is considered an avant-garde masterpiece which enjoys a cult following. Fortunately, this post-apocalyptic anime adaptation manages to capture the essence of the source material. Will Killy be able to traverse The City and avoid its dangers successfully with his gravitational beam emitter? This is a tale of the survivors of humanity after most of them have been wiped out by the kyojin; mindless killing machines that tower over humans and seemingly exist only to kill and destroy. Something that I wouldn't want to experience, not even in virtual reality, is to be hunted down by the terrifying and seemingly sadistic kyojin. 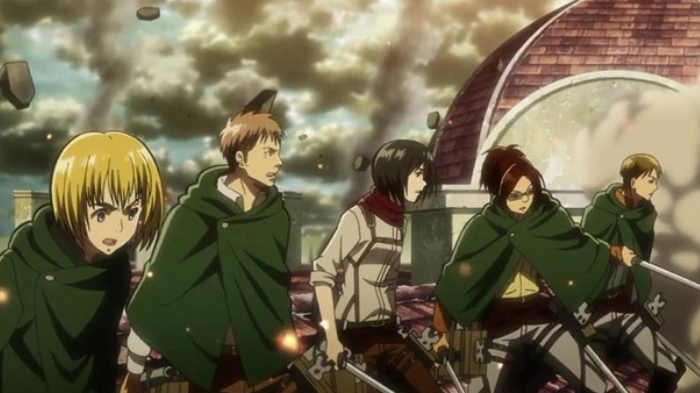 Such a scenario may seem incomprehensible, but that's the kind of terror the main character Eren Yeager and his adoptive sister Mikasa Ackerman have to deal with. 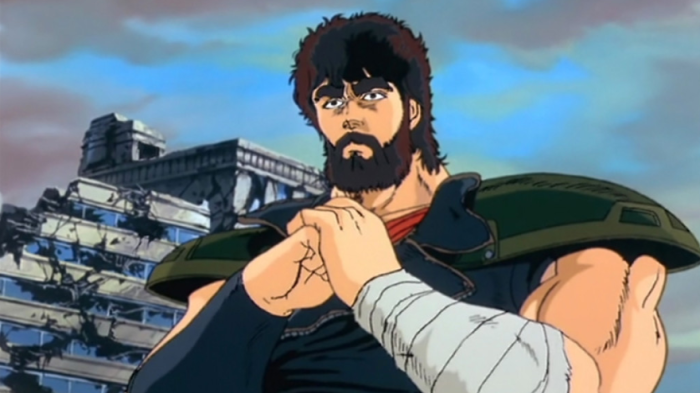 If I’d have to pick one series that sets the tone for post-apocalyptic anime in the early 80’s, then it’s none other than Fist of the North Star. Set in a world devastated by nuclear fallout, with survivors that live in inhumane conditions in ravaged cities and deserted outposts - these are the things nightmares are made of. 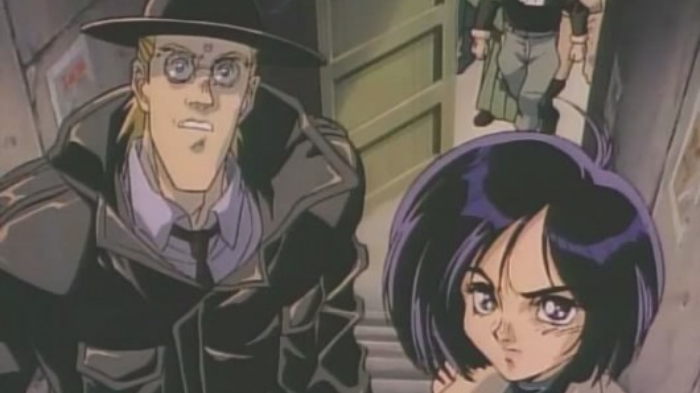 It’s no secret that Fist of the North Star was influenced by the Mad Max movies. There is a significant difference though; nobody obliterates the bad guys as mercilessly as Kenshirou. 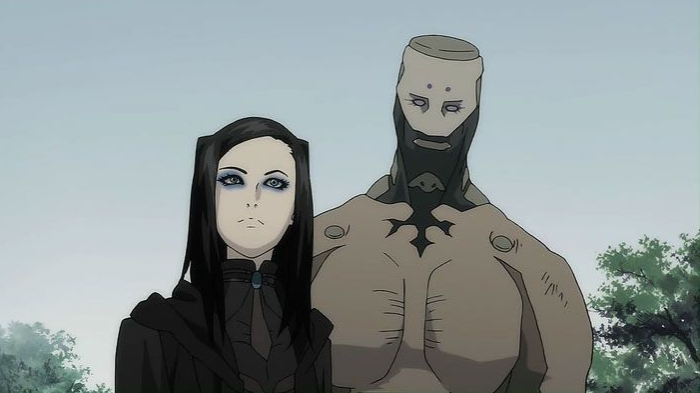 At times, Ergo Proxy seems like the perfect fusion of Ghost in the Shell and Blade Runner. Partly because the heroine Re-l Mayer seems like she's channeling both Motoko Kusanagi and Rick Deckard as she goes about her investigations. Nevertheless, she's a unique character in a deep and complex story that is sure to keep you hooked. No.6 dares to explore some complex themes for a post-apocalyptic anime. 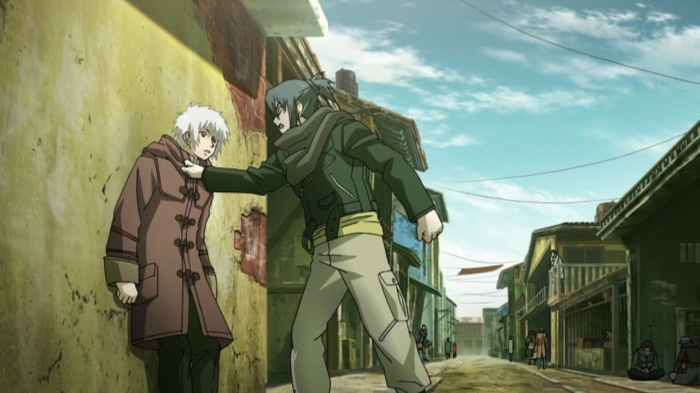 Here, we bear witness to the unfolding relationship between Shion and Nezumi - two boys who couldn't be more different. One comes from an elite background, and the other is a fugitive. When Shion decides to provide shelter and protection to Nezumi, he soon discovers that the city-state he lives in isn't all it's cracked up to be. Psychokinesis is an awesome ability. Wouldn't it be great to be able to manipulate material objects with thought alone? But then again, wouldn't that result in chaos if this ability was wielded by irresponsible people? 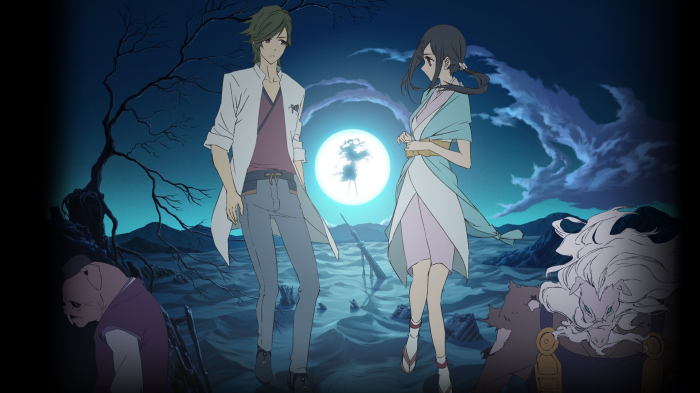 Shinsekai yori explores how a society of psychics develops, as they attempt to unlock their powers. 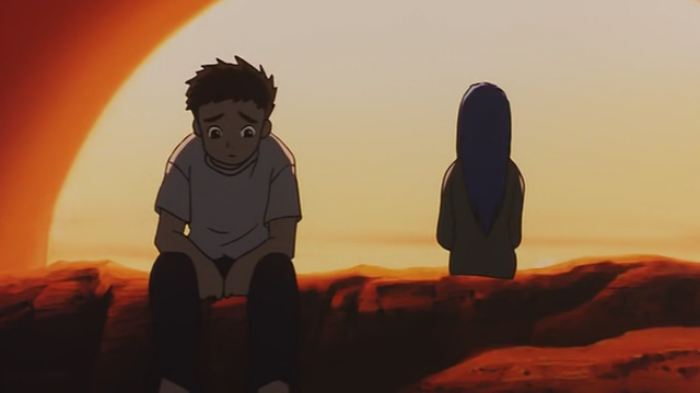 But as is often the case in post-apocalyptic anime, things don't always go according to plan. How often does one come across a post-apocalyptic anime in which the main characters are wolves who take the form of humans? Not often, huh?! 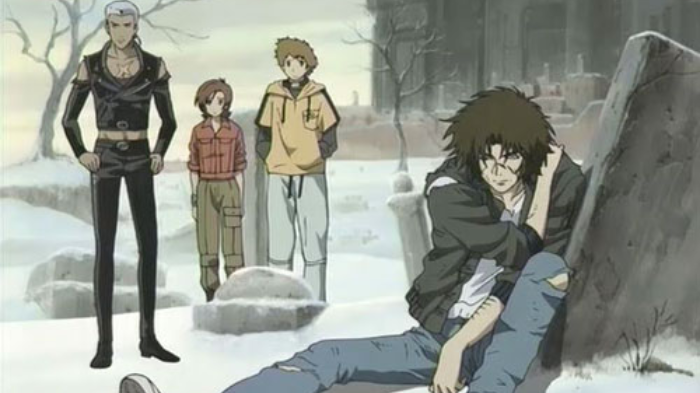 Wolf's Rain is imbued with a rather melancholic and bleak tone. And the leader of the pack, Kiba, isn't exactly Mr. Sunshine, as he tries to come to terms with the tragic events of his past. How many times must Tokyo suffer another major catastrophe? Why are creators of post-apocalyptic anime and manga compelled to level this great city so often? Well, it would seem not often enough. 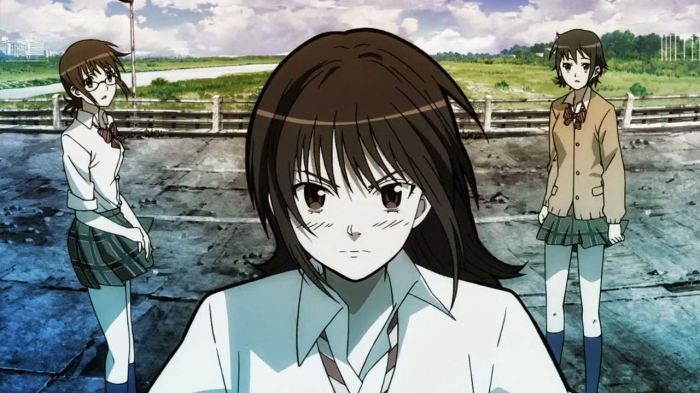 Coppelion is yet another anime which depicts the horrors and aftermath of a nuclear meltdown. Thankfully, the three cute heroines of the special unit are out there looking for survivors. Battle Angel Alita boasts some intricately designed characters, backgrounds and mechanical elements. So much so, that one's attention is helplessly drawn to admiring the visuals, which are absolutely stunning. And that's not entirely a bad thing considering the well-executed scenes pack a punch, despite how gruesomely violent they are. 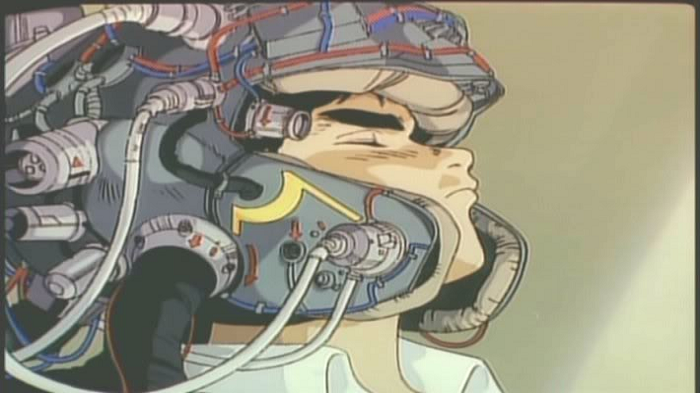 This is, however, the magic of Battle Angel Alita. It's an anime which is profoundly balanced, with a heart-wrenching story, a cast of deep characters, and a dilapidated environment which are equal measures steampunk and cyberpunk. All of which gel well together, with neither aspect overpowering the other. Just imagine finding yourself in a desert-like world, where water is scarce and war is rife. Quite a sobering thought. Unfortunately, that's the kind of post-apocalyptic world that Shuuzou Matsutani finds himself in. And he is dead set on saving a girl called Lala-Ru from the clutches of an evil dictator. Will Shuzo's fighting spirit and Kendo skills be up to snuff though? For those that just can't get enough of post-apocalyptic anime, then here are a few shows that should be on your watch list! 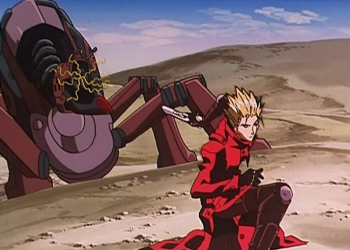 Vash the Stampede is a bit of an enigma. On one hand he has a massive bounty on his head, and is considered a dangerous criminal. But he's actually a big softie who abhors violence. Nevertheless, his escapades often lead him into some of the baddest post-apocalyptic wastelands in the galaxy. It's difficult to imagine Japan ending up as one big desert. But that's the future which this particular post-apocalyptic anime presents us with. A future in which one handyman, Kanta Mizuno, might just be able to stay on top of things if he can keep his mind off women. The famous Tatsunoko Pro hero is back in one of his darkest adventures yet. 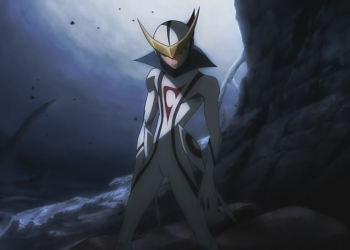 Casshern awakens in a dytopian world but cannot recall his past. He needs to come to terms with his bleak past, while battling the forces of evil.